Home/Trading Platforms/SAMCO Mobile Trader/Placing a buy order on SAMCO Mobile Trader? 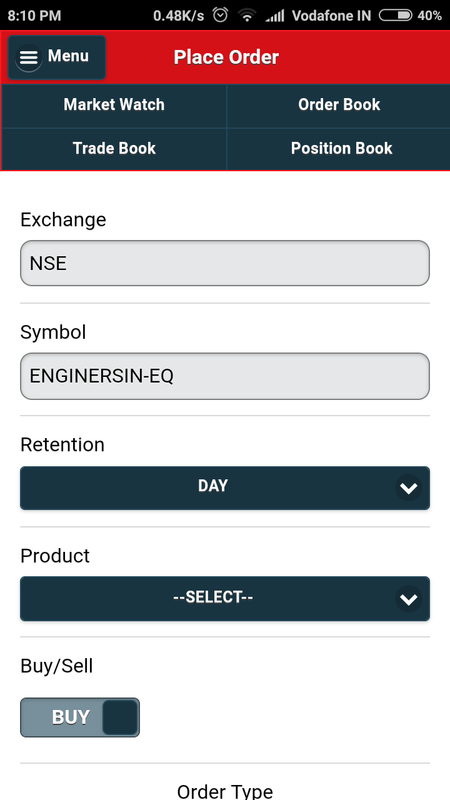 SAMCO Mobile Trader application is build for ease of trading. To put a buy order in SAMCO Mobile Trader you first need to be logged in to your SAMCO Mobile Trader. 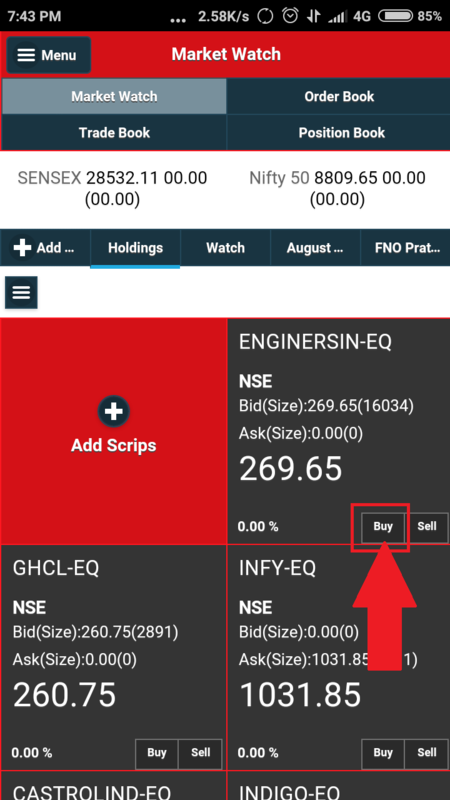 You can place a buy order from the scripts that are in your market watch. 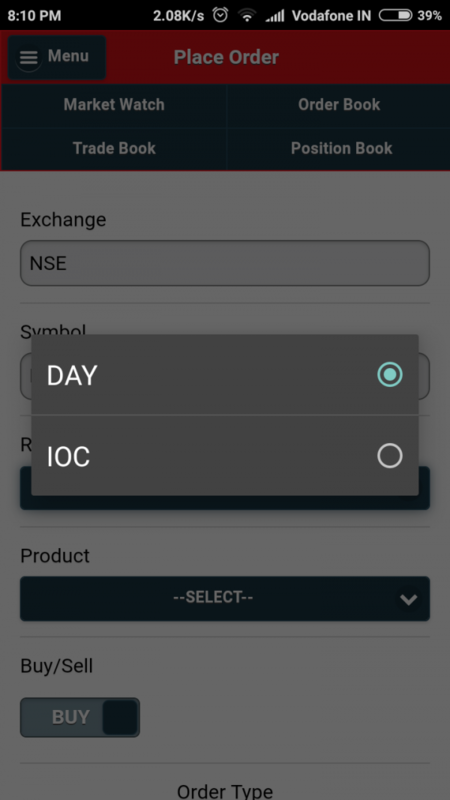 IOC – Immediate of Cancel order type is where once the user punches the order, the order hits the exchange and if not executed immediately, the order stands cancelled. NRML: NRML is used for trading in Equities, Currency and Commodities for over night delivery using margins, These margins can be availed using SAMCO’s CashPlus. There are 4 types of orders: Limit, Market, SL-L, SL-M. 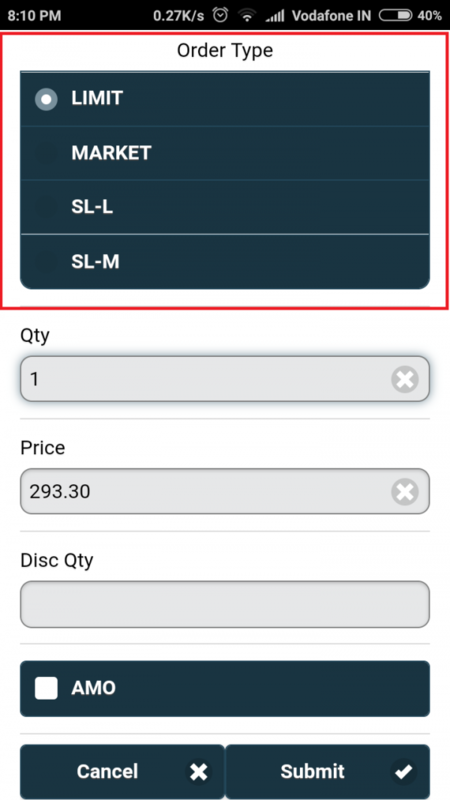 Select the desired type of order you want to place and move ahead to select the Quantity and Price. Enter the Desired Quantity you want to buy, Enter the Desired Price you want to buy it at. Enter the disclosed quantity if you want to execute your order in parts. Check the box in front of AMO if your order is an after market order. That’s It, Hit Submit and your order will be submitted to the exchange. After clicking on Submit button you will be taken to order Status page which will display the status of your orders. Dear Himel, thank you for getting in touch with us. If you wish to generate a new transaction password after creating an account in SAMCO, you may do so through the StockNote app. While Logging in, you need to press the ‘Help’ option below it and then press the ‘Forget Password’ option. This’ll clear your old passwords and generate new ones.